This week, Miranda and Jeff join Ricky and Lilith from The Primatech Files Podcast for a health debate about the overall season of Heroes Reborn. You can listen to the first Heroes Reborn/Primatech Files Roundtable HERE. 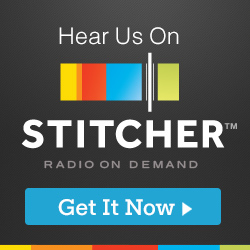 Thank you to all our listeners, lurkers, and all our fellow Heroes fans! It’s been a great run. We appreciate all the feedback from Twitter, Facebook, and especially the Hero Hotline. Be sure to keep following us to find out what we’re up to next. Contest: Congratulations to: PorcheMonkey wins the Heroes Hat, and AlienJL wins the Heroes Notebook. Contact us at heroescast@gmail.com to claim your prize. TheFreak0384 we need a mailing address by Saturday, January 30th or you forfeit your prize. Miranda has picked 2 other random winners that called in to our Heroe’s Hotline. Congratulations to Shawn in Atlanta and to Lucy and Parker in Indiana. Contact us with your mailing address to receive your prize.